If there’s any plaintiff’s law firm in America that should know racketeering when it sees it, it’s Cohen Milstein. It’s sued the major Wall Street banks repeatedly with a solid win rate for colluding to rig pretty much anything that trades. On Friday, in the same Federal District Court where its Wall Street actions are litigated, the Southern District of New York (SDNY), it filed its bombshell RICO lawsuit on behalf of the Democratic National Committee (DNC). The lawsuit does not name President Donald Trump as a defendant but it does name prominent members of his presidential campaign, including his son, Donald Jr., and son-in-law, Jared Kushner. Trump’s former campaign chairman, Paul Manafort, and advisers, Roger Stone and George Papadopoulos are also named, as are the Russian intelligence service, Russian Federation, several Russian operatives, Julian Assange and WikiLeaks. Why Cohen Milstein would take this case is curious. It is currently involved in major class action cases against Wall Street banks, as is its lead attorney for the DNC lawsuit, Michael B. Eisenkraft. One of those cases is massive. It alleges that major Wall Street firms like Citigroup, Goldman Sachs, JPMorgan, Merrill Lynch, Morgan Stanley and numerous others, rigged the $13 trillion U.S. Treasury market in order to increase their own profits. 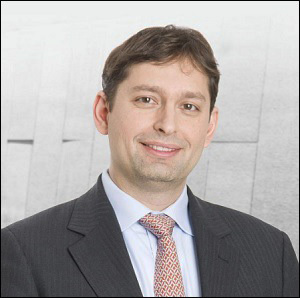 Eisenkraft is also involved in the Interest Rate Swaps Antitrust Litigation where he is the court-appointed co-lead counsel in an action that alleges that Wall Street investment banks conspired to prevent an alternative market for interest rate swaps from developing. Another one of his big cases is the Stock Lending Antitrust Litigation that charges major Wall Street banks with conspiring to prevent the stock lending market from developing and maturing by boycotting other platforms designed to increase transparency and reduce costs. Many of the Wall Street banks named in the current lawsuits have already paid large fines to regulators over charges they rigged other markets or market benchmarks. Citigroup and JPMorgan Chase both pled guilty to felony charges by the U.S. Justice Department in May 2015 for their involvement in the rigging of foreign currency markets. Just last month, Cohen Milstein and Eisenkraft announced a lawsuit claiming that unnamed traders have rigged VIX futures and options by manipulating the process in which the VIX contract’s settlement price was calculated. The lawsuit alleges this was done by trading in Standard and Poor’s 500 Index options. VIX is the so-called “fear gauge” on Wall Street, a key barometer used to measure volatility. Cohen Milstein is not just putting one of its key Securities Litigation law partners on this case. Joseph M. Sellers, the Chair of the law firm’s Executive Committee, is also listed on the lawsuit. Another law partner on the suit is Geoffrey Graber, a member of Cohen Milstein’s Consumer Protection group as well as a lawyer who represents whistleblowers under the False Claims Act. Graber may know a lot more about data breaches than the average lawyer – he is a key lawyer for plaintiffs in the massive data breach at Anthem Inc. that “compromised the personal identification and health information of more than 80 million customers of the health care company,” according to the law firm. That case received preliminary court approval for a $115 million settlement in August of last year. Two Cohen Milstein Associates are also listed on the DNC lawsuit: Julia Horwitz and Alison Deich. The DNC may have concerns about exactly how much justice and/or transparency it is going to obtain under the criminal probe into the same matter by Special Counsel Robert Mueller and wants its own civil RICO action to move forward in case the former turns out to be a dud investigation. “The man currently in charge of the U.S. Attorney’s Office for the Southern District of New York has not been vetted or confirmed by the U.S. Senate. He’s serving as an interim U.S. Attorney. His name is Geoffrey Berman and he is a Trump supporter. Federal Election Commission records show that he donated $5400 to Trump’s campaign on July 28, 2016. At the time of his appointment, Berman was also a fellow shareholder and law partner of Rudy Giuliani at the giant law firm, Greenberg Traurig. Berman had worked there for more than a decade. Giuliani is a longstanding Trump ally and loyalist and a former head himself of the U.S. Attorney’s Office for the SDNY. “Two days after Berman was named interim U.S. Attorney for the SDNY, Berman named Robert Khuzami to be his Deputy U.S. Attorney for that jurisdiction. Khuzami was General Counsel to Deutsche Bank-Americas from January 2002 to February 2009. Deutsche Bank has been the major lender to Trump’s businesses for decades, even as other major Wall Street banks refused further lending to him. In January of last year, Deutsche Bank was charged with laundering billions of dollars out of Russia and paid approximately $630 million in fines. Mueller is probing the Trump campaign’s ties to the Russian government and Russian money. Another obstacle for Giuliani is that Cambridge Analytica whistleblower Christopher Wylie named Giuliani’s former law firm, Bracewell & Giuliani, as U.S. campaign law advisor to Cambridge Analytica, the data mining firm that is alleged to have improperly harvested the personal information on more than 87 million Facebook users in order to benefit the Trump campaign.